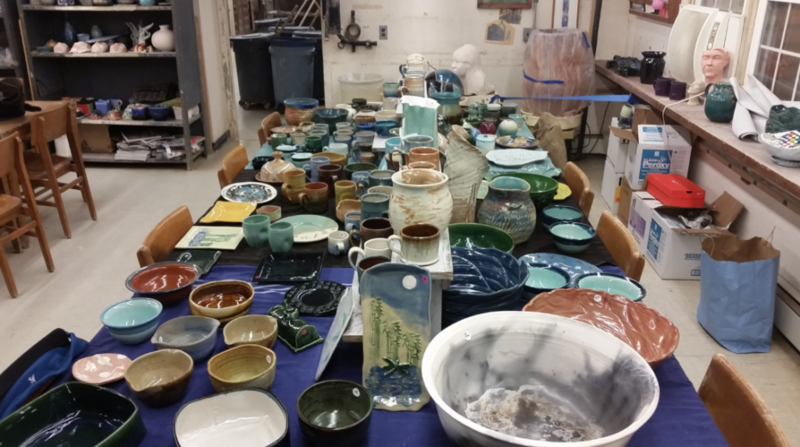 The original pottery work of MFA and MA art students, alumni as well as ceramic technician Vinny Osthers is being sold until Friday, Dec. 16 in the Craft Center. 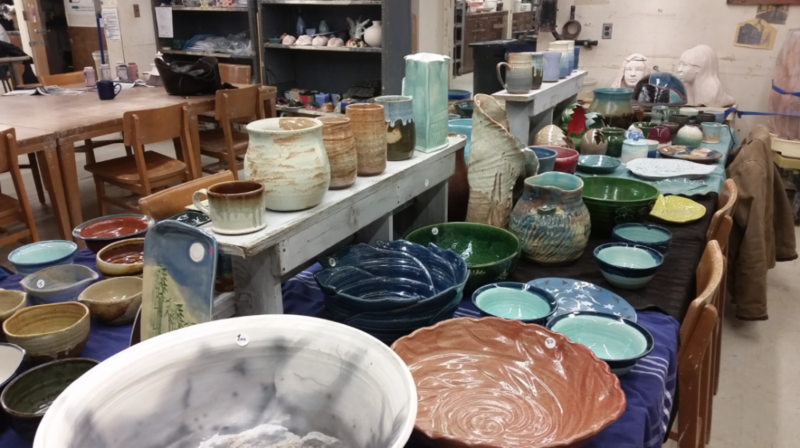 The Pottery Sale includes bowls, mugs, plates, jars and vases of all sizes. Students have worked on the original pieces throughout the year. The pottery is now ready to be purchased and wrapped as a gift for the holidays. 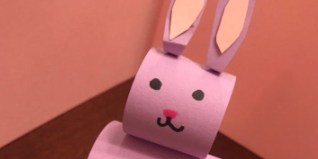 Osthers says that profit made from this sale will be given to each individual artist and, in some cases, may be donated back to the studio to be used towards materials or upkeep within the space. Much like this sale, another is planned for the end of next semester in early May. 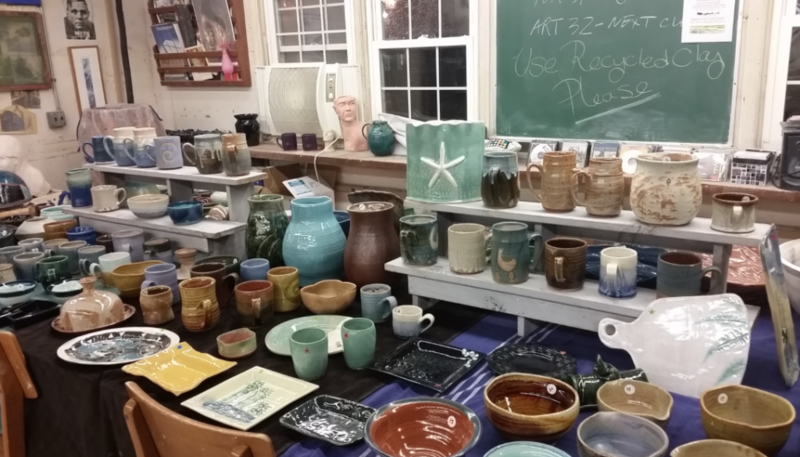 Art work for sale can be found in the Craft Center, the white building behind Kumble Hall, from 9 a.m. to 6 p.m. all week. 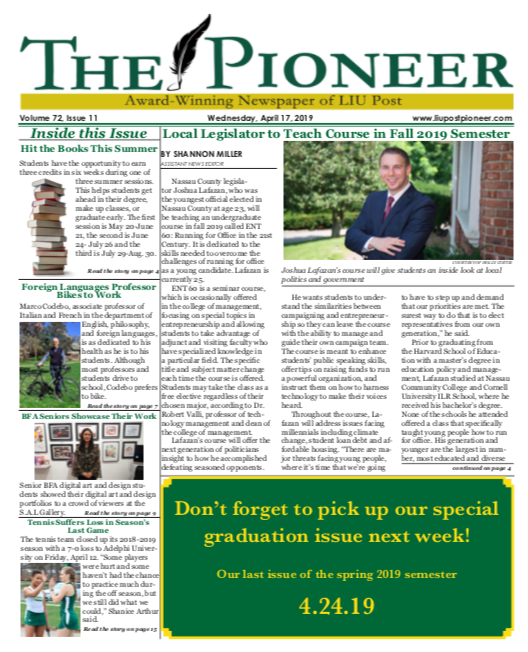 The Pioneer has finished publishing its fall 2017 issues.